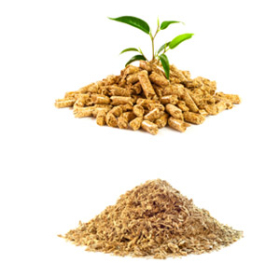 Pellets are a biomass fuel used to heat residential houses and other buildings. Pellets are included among the most efficient sources of energydue to their energy characteristics and convenience for the user. Pellets are also an environmentally-friendly fuel – carbon dioxide emissions during combustion are equal to the amount of carbon dioxide absorbed by a tree during its growth, and the small amount of ash remaining after burning (less than 0.5% for the pellets made by Stelmet) can be used as a fertilizer. Pellets have already gained a wide group of enthusiastic users in Western Europe. Now their benefits have come to the attention of users in Poland. The unique properties of pellets have driven a dynamic growth in demand for this renewable energy source. In 2002, pellet production in Europe amounted to 1.3 million tonnes, by 2006 it was 5 million tonnes, and by 2010 it was as much as 10 million tonnes. 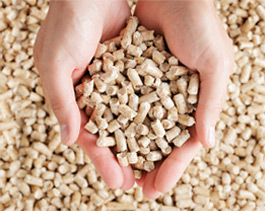 a single-family house requires approximately 5-8 tonnes of pellets per year in the heating season. This rate of consumption depends on floor area, insulation and boiler efficiency.